From April 20 to April 25 we visited the Faeroes and would like to send warm thanks to all people we met and all who turned this short visit into an unforgettable stay. One special “Thank you” goes to Jónheðin H. Tróndheim and his wife Irena. They “bore the brunt”. Without Jonheðin our stay could have taken at least a couple of weeks – which would not have been a bad thing, really, because the Faeroes invites to staying indefinitely! 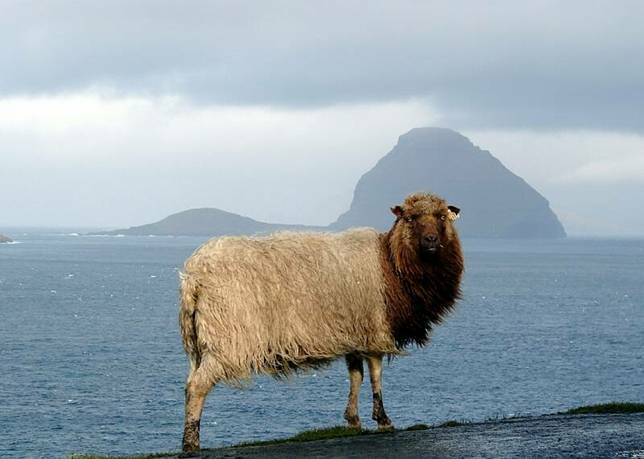 At a fashion show on June 9 at the Faeroe Islands Representation, North Atlantic House, Copenhagen, the designer, Malan á Lofti, will show the exceptional variation in the colour genes of the Faeroe Island Sheep. In her hands, all these colour genes are transformed into design, a design appealing directly to the urban human being of our time!